100 days of Obama: Turning peril into possibility: Barack Obama opened his presidency by drawing an unflinching portrait of the challenges. Then he set about turning those perils into possibilities. Congress adopts budget plan endorsing Obama goals: Democrats in Congress capped President Barack Obama’s 100th day in office by advancing a $3.4 trillion federal budget for next year — a third of it borrowed — that prevents Republicans from blocking his proposed trillion-dollar expansion of government-provided health care over the next decade…. 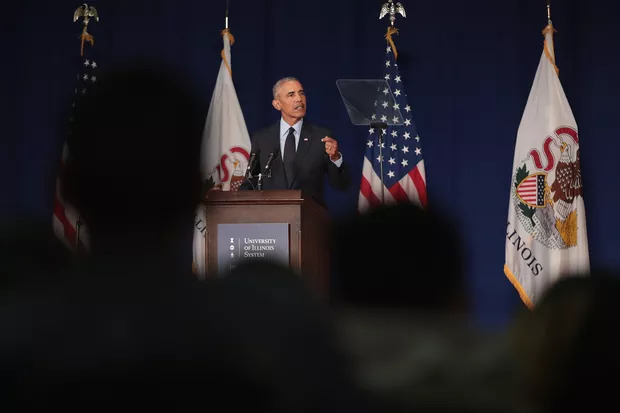 (President Barack Obama addresses a town hall at Fox High School in Arnold, Missouri on April 29, 2009. OBAMA: Before we begin tonight, I just want to provide everyone with a few brief updates on some of the challenges w’re dealing with right now. Our public health officials have recommended that schools with confirmed or suspected cases of this flu strongly consider temporarily closing. And if more schools are forced to close, we’ve recommended that both parents and businesses think about contingency plans if their children do have to stay home. I’ve requested an immediate $1.5 billion in emergency funding from Congress to support our ability to monitor and track this virus and to build our supply of antiviral drugs and other equipment. And we will also ensure that those materials get to where they need to be as quickly as possible. And, finally, I’ve asked every American to take the same steps you would take to prevent any other flu: Keep your hands washed; cover your mouth when you cough; stay home from work if you’re sick; and keep your children home from school if they’re sick. We’ll continue to provide regular updates to the American people as we receive more information. And everyone should rest assured that this government is prepared to do whatever it takes to control the impact of this virus. The second thing I’d like to mention is how gratified I am that the House and the Senate passed a budget resolution today that will serve as an economic blueprint for this nation’s future. This budget builds on the steps we’ve taken over the last 100 days to move this economy from recession to recovery and ultimately to prosperity. We began by passing a Recovery Act that has already saved or created over 150,000 jobs and provided a tax cut to 95 percent of all working families. We passed a law to provide and protect health insurance for 11 million American children whose parents work full time. And we launched a housing plan that has already contributed to a spike in the number of homeowners who are refinancing their mortgages, which is the equivalent of another tax cut. But even as we clear away the wreckage of this recession, I’ve also said that we can’t go back to an economy that’s built on a pile of sand, on inflated home prices and maxed-out credit cards, on overleveraged banks and outdated regulations that allow recklessness of a few to threaten the prosperity of all. We have to lay a new foundation for growth, a foundation that will strengthen our economy and help us compete in the 21st century. And that’s exactly what this budget begins to do. I also campaigned on the promise that I would change the direction of our nation’s foreign policy. And we’ve begun to do that, as well. We’ve begun to end the war in Iraq, and we forged with our NATO allies a new strategy to target al-Qaida in Afghanistan and Pakistan. And we’ve renewed our diplomatic efforts to deal with challenges ranging from the global economic crisis to the spread of nuclear weapons. So I think we’re off to a good start, but it’s just a start. I’m proud of what we’ve achieved, but I’m not content. I’m pleased with our progress, but I’m not satisfied. We still confront threats ranging from terrorism to nuclear proliferation, as well as pandemic flu. 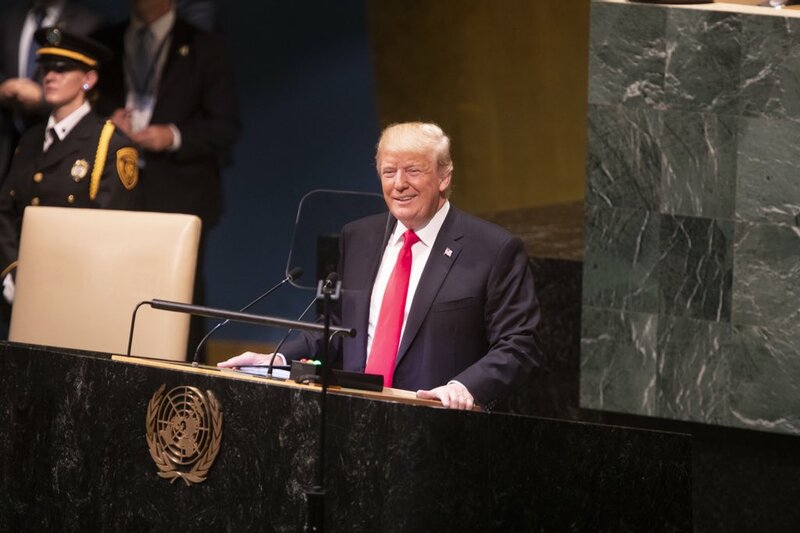 And all this means you can expect an unrelenting, unyielding effort from this administration to strengthen our prosperity and our security in the second hundred days, in the third hundred days and all of the days after that. You can expect us to work on health care reform that will bring down costs while maintaining quality, as well as energy legislation that will spark a clean-energy revolution. I expect to sign legislation by the end of this year that sets new rules of the road for Wall Street, rules that reward drive and innovation, as opposed to shortcuts and abuse. And we will also work to pass legislation that protects credit card users from unfair rate hikes and abusive fees and penalties. We’ll continue scouring the federal budget for savings and target more programs for elimination. And we will continue to pursue procurement reform that will greatly reduce the no-bid contracts that have wasted so many taxpayer dollars. So we have a lot of work left to do. It’s work that will take time, and it will take effort. But the United States of America, I believe, will see a better day. We will rebuild a stronger nation, and we will endure as a beacon for all of those weary travelers beyond our shores who still dream that there’s a place where all of this is possible. Now, back in November, some folks were surprised that we showed up in Springfield at the end of our campaign. But then again, some folks were surprised that we even started our campaign in the first place. (Laughter.) They didn’t give us much of a chance. They didn’t think we could do things differently. They didn’t know if this country was ready to move in a new direction. But here’s the thing — my campaign wasn’t born in Washington. My campaign was rooted in neighborhoods just like this one, in towns and cities all across America; rooted in folks who work hard and look after their families and seek a brighter children — future for their children and for their communities and for their country. 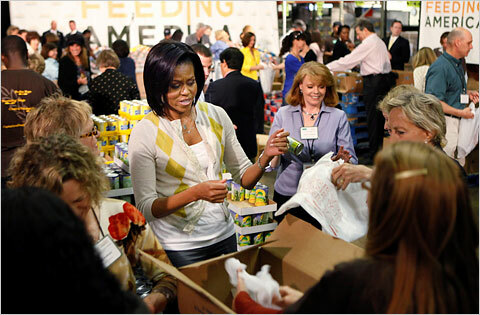 Manuel Balce Ceneta/Associated Press Michelle Obama and lawmakers’ spouses pack bags of food for needy families. David McCullough “Author warns against ‘instant history’ of Obama’s first 100 days during Drew U. speech”: If it takes at least 50 years to fully appraise history, as historian and author David McCullough told a classroom of Drew University students this morning, then using the first 100 days of a presidency as a benchmark for performance is futile. But even as McCullough, speaking on the 100th day of President Barack Obama’s term in office, called the 100-day assessment “contrived,” he had high praise for the commander-in-chief. April 20, 2009: Did Lincoln Have Cancer? Robert Weisbrot “What Obama’s Great Society challenge is, says Great Society historian”: Robert Weisbrot, co-author of “The Liberal Hour: Washington and the Politics of Change in the 1960s,” says the Great Society revolution was “tremendously liberating” for members of the most vulnerable groups in America.